But when unexplained deaths start to haunt her town, Ember starts questioning why she can’t sense Asher's death and what he may be hiding. Jessica Sorensen lives with her husband and three kids in the snowy mountains of Wyoming, where she spends most of her time reading, writing, and hanging out with her family. I liked the part where it says "she can't sense his death and what he may be hiding" It sounds really good and interesting. Im looking forward to reading this book and more from the author!!! Ember is going to be an awesome read! Thank you soo much for the opportunity to win a copy! You had me at 'curse'. I'm loving the whole idea. I'm reading Ember now and it's fun. Hope you entered the contest. "With a simple touch, she knows when someone will die." 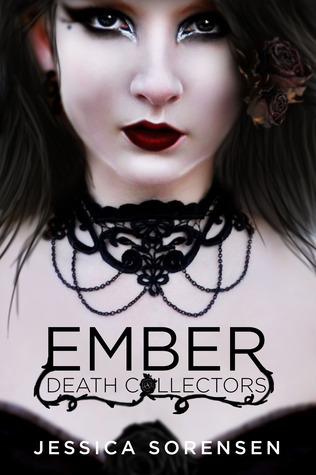 Ember starts questioning why she can’t sense Asher's death and what he may be hiding.